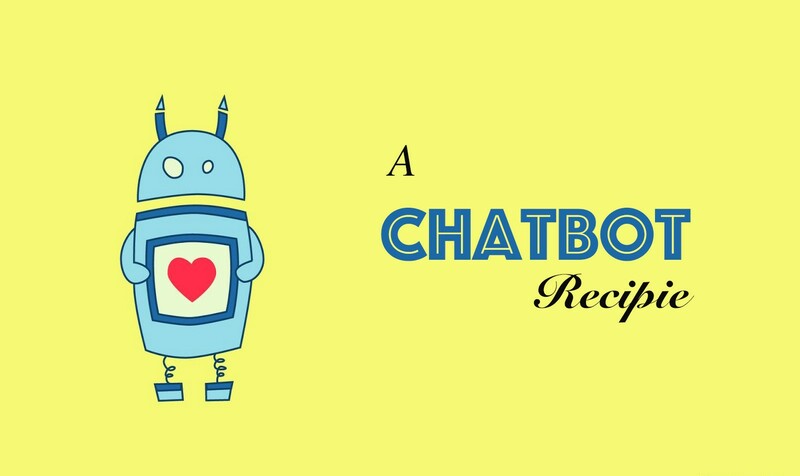 ChatBot, the latest sensation (or just hype! ), is believed to be the next paradigm shift in the technology. A conversational assistant will never be boring as it gives new experience each time the user is interacting with it. A ChatBot need not be always intelligent. It can be as simple as storing user’s notes, reminders, book tickets etc.. After all, satisfying the usecase is critical here. Now, I’m not going to show you how to sketch a sophisticated ChatBot with NLP and AI, but a simple bot, which can later be trained for your own use case. Download this APK and feel free to experience the bot which you will be handcrafting in a while. Assuming that you have the app now, Say “Hi” to the bot!….. Interesting isn’t it? You can also ask things like — “what is your age?”, “Who created you?” etc. You can also tell your name and you can ask your name back. Feel free to play with it (This simple bot has minimum capabilities, bring out your own creativity for tuning it). I hope you enjoyed playing with it. Let’s dirty our hands now! Create a new Android project and import the following library for chat interface. You can implement your own interface, but importing the following libray, saves a lot of time. Add the following line under dependencies section in your build.gradle (Module:app) file and sync your gradle settings. Let’s now place the components in the xml file. Below your MainActivity’s xml file - activity_main.xml, add the following code. We also need two additional xml files for drawing the chat message of the user and the bot. Under your layout folder, add two additional xml files. We need an Adapter for the ListView component to work. So let’s create one. This adapter is tuned to handle two different view types. All set for ListView? Let’s get back to our MainActivity and implement the below. Now if you run the code, You will be witnessing a chat interface and if you type and send anything, you will get a response as “HelloWorld”. AIML (Artificial Intelligence Markup Language) is an XML-compliant language that’s easy to learn, and makes it possible for you to begin customizing an Alicebot or creating one from scratch within minutes. The AIML files we are using for customization was written by Dr. Richard S. Wallace, creator of the open-source bot called ALICE. I’ve shared few links at the end of this article for AIML and let’s discuss more about it next time. The dependencies section of your build.gradle file will look like this. We need the following functions to read and write the AIML files under our assets folder. Please follow the inline comments on the code block for your understanding. Inside OnCreate(), insert the following snippet. Now we need to switch the static response to the bot response. So let’s modify our mButtonSend’s OnClickListener. The entire MainActivity’s code will look like the one below. We’re good to go!. Let’s run the app…. and ….Voila! your ChatBot is ready! Serve le Chaud! If you like this article, please recommend. Feel free to check out the entire project code at Github. Under this file, change the ‘name’ parameter as you wish. To see the change, please uninstall the app, and delete the folder ‘hari’ inside your phone’s local storage(refer to the path in MainActivity.java). The concept is, each time you run the app, all the files will be copied to your local storage. If it is already present, it will not overwrite it. After deleting, run the app again to see the new name. This is just a proof of concept. Not production ready. It’s entirely up to you to build something out of it. The file size is bigger, as it has more files. Handling custom conversation is difficult as all files must to be modified manually. The optimal way to build a bot is to use any Bot building frameworks and handling it everything online via API calls. Chat history can be stored in multiple ways. You can construct a local persistent storage and store all the inputs and responses or you can also maintain a file and write all the data to it. It’s entirely up to you. Well, this error can occur for different reasons. First please check whether a folder called ‘hari’ is created in your phone’s local storage, containing all the files from the project’s assets folder. If not, check whether the permissions are granted properly (for accessing local storage) and reinstall again. Only if the folder ‘hari’ is created, the bot can give you responses by reading from that files.